Monsieur Lecoq of the French S ret is called to investigate a Bank Robbery in one of the world's first detective novels, widely credited as the inspiration for Sherlock Holmes. A sensational bank robbery of 350,000 francs is the talk of Paris, with suspicion falling immediately upon Prosper Bertomy, the young cashier whose extravagant living has been the subject of gossip among his friends. As a network of deceit, blackmail, murder and villainy closes around Prosper and his lover Madeleine, Monsieur Lecoq of the French S ret embarks on a daring investigation to prove the young man's innocence in the face of damning evidence and discover the truth behind an otherwise impossible crime. mile Gaboriau is widely regarded as France's greatest detective writer and a true pioneer of the genre. He created the archetypal detective Monsieur Lecoq, who appeared as a supporting character in L'Affaire Lerouge in 1866 and took centre-stage the following year in Le Dossier No.113, published in English as The Blackmailers. A master of disguise and guile, the stylish Lecoq appeared in only five novels before Gaboriau's death in 1873 aged 40, having created the template for his natural successor - Sherlock Holmes. 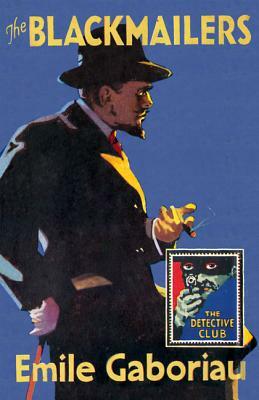 This detective Story Club classic is introduced by detective fiction expert and researcher Richard Dalby, who examines the work of the Frenchman frequently credited as the creator of the modern detective story.